Macarons are still all the rage in the baking world. These little beauties look so cute but are difficult to master! There are many recipes and blogs out there teaching you the basics but I think its something you probably need to see and feel to know you are getting it right. My first attempt was laughable. More like an almond gooey cookie. See I took some photos of shame - they are at the bottom of this post, Macaron Madness. My second attempt I thought were great until I tried to peel them off the paper. Hmmm...wet bases. Also, they were rather flat. You can just about make out the green tea mac's atthe back. I split the batch and made two flavours. Attempt number 3 was lemon macarons. I need to practice the piping too! Filled with lemon butter icing and a lemon curd centre - lemonicious! Blueberry & Lemon - these were soo good! Again lemon butter icing but with a fresh blueberry coulis. 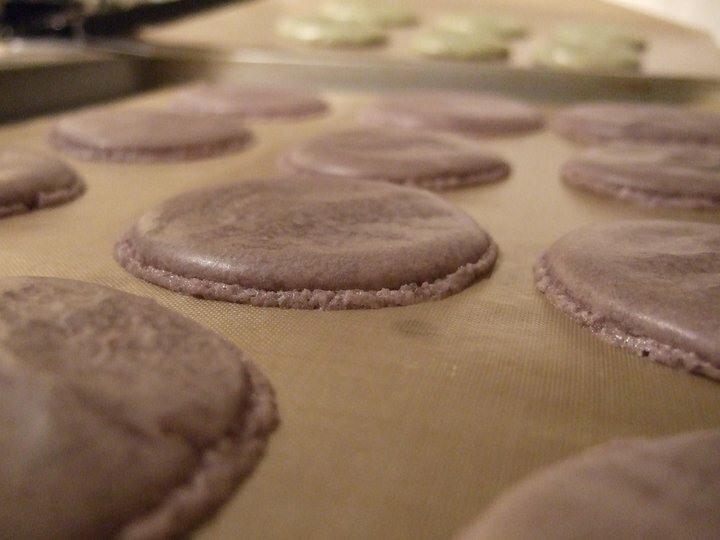 Yeap, macaroons making is quite challenging. Mostly because of the baking temperature and causing the biscuit is undercooked most of the time. At the end the whole thing collapse. Me too! I have to overcome the piping technic as well. Yours look really gorgeous... just like those from Laduree! :o) Thanks for sharing. Have a great day. Hooray! Looks like you've conquered them, well done :) They are absolutely cute little beauties. And I know what you mean about getting addicted to them. I only bake small batches otherwise we'd all go into a sugar coma. How's things going on? Havent heard from your blog for a while? Busy with baby or with work? ahhh...so tasty!! thank you author! i think if you read this site букмекеры , you can prepare some new food)! Hello, I just wanted to say thank you for stopping by at my blog & leaving a comment about the wedding cake I made - it's always lovely to hear from readers : ) It looks like you have a lot of fun adventures in baking! Congrats! not easy to get this perfect and you did it! High five! !